A blend of our estate grown Malbec and Syrah presenting a rich and decadent wine with hints of allspice and cherries. 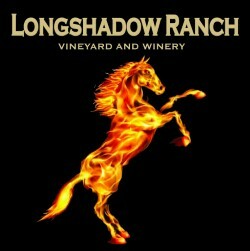 By entering Longshadow Ranch Winery's Wine Store, you affirm that you are of legal drinking age in the country where this site is accessed. Wine Tastings $15 each. Includes five premium wines. Prices subject to change. Logo glass not included.